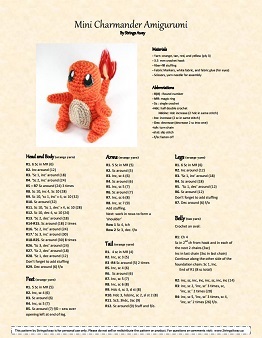 Crochet your own little Charmander Amigurumi with this pdf pattern! 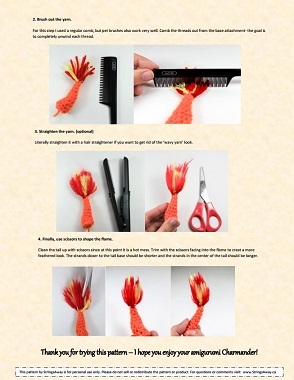 This pattern also includes step by step instructions (with pictures) on how to do the fluffy flame tail as pictured. Note that a 3.5mm crochet hook and ply 3 yarn was used in the making of this pattern. Choose Charmander and add a little flame to your heart! Crochet your own little chicken nugget Torchic Amigurumi with this pdf pattern! This pattern includes step by step instructions (with pictures) detailing the feet and neck frills. 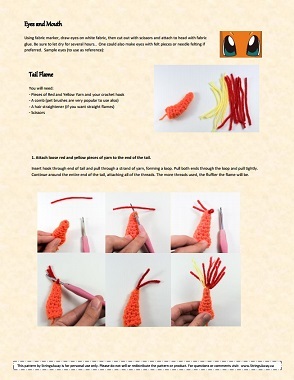 Crochet yourself a Torchic today! Crochet your Mudkip Amigurumi with this pdf pattern! Note that a 3.5mm crochet hook and ‘medium ply 3’ yarn was used ( 100% acrylic). Mudkip the mudfish Pokemon is ready to join your Pokemon army! Crochet your own little Bulbasaur Amigurumi with this pdf pattern! These tiny palm-sized Bulbasaur are waiting to lurk by the potted plants in your house in search of some greenery. Gurgle it’s Squirtle, the tiny water turtle. Crochet your own little Squirtle Amigurumi with this pdf pattern! This tiny palm-sized Squirtle is a perfect gift for water pokemon lovers everywhere. 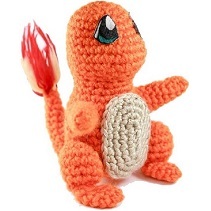 Are you ready to feel the burn with this adorable little Charmander amigurumi? If you would like to crochet your own Charmander the pattern will be made available soon in the patterns section of my website! Did you know? Charmander is the tallest of all the fire-type starter Pokemon.